Joe Rochioli Jr. is the patriarch of Russian River Valley Pinot Noir. A humble, but proud man, he possesses an indefatigable devotion to his vineyard. His personal history is marked by numerous notable achievements that inseparably link him to the history of winegrowing in the Russian River Valley. Joe’s family history begins with his grandfather who was born in Northern Italy and at a very young age was left on a doorstep in town. The family that initially cared for him was extremely poor and eventually sent him to an orphanage. Since he had no name, he was given the name “Rochioli” (“Ro-kee-o-lee”) at the orphanage, a word in Italian that had no meaning. Joe’s father, Joe Rochioli, Sr., was also born in Northern Italy. He later immigrated to the United States in 1912, following in the footsteps of many other Italian-American immigrants who were to become notable families in the Sonoma County winescape including Martini, Martinelli, Pedroncelli, Sebastiani, and Seghesio. Joe Rochioli, Jr., was born in Sebastopol in 1934. In 1938 his family moved to nearby land known as Wohler Ranch adjacent the Russian River in Healdsburg that Joe, Sr., leased from the Walters family. Solomon Walters and his wife had come from North Carolina in a covered wagon and in 1885 they bought about 500 acres including a portion on Westside Road that Joe Rochioli, Sr., farmed. The large farm grew hops, fruit, grapes, prunes and vegetables. After settling on the ranch, Joe, Sr., began buying portions of the ranch until he would eventually own 162 acres. Joe, Jr.’s family lived completely from the land and was very poor. They only spoke Italian at home and when Joe, Jr., entered school at the age of six, he understood very little English. At a one-room schoolhouse two miles up the road, Joe, Jr., was ridiculed for has lack of English and his home made lunches. Life was hard, with Joe, Jr., working daily on his father’s farm in his formative years. By age 12, he was doing a man’s work, lifting 60 pound sacks of hops in the hop kiln and worked daily after school until he began playing sports in high school. When he entered Healdsburg High School, he was 6-foot tall, weighed 160 pounds, and wore size 12 shoes. His mother thought there was something wrong with him because he grew so fast. As a freshman, he was caught fooling around by the football coach. He promptly ordered him to do 100 pushups which he easily accomplished without breaking a sweat. The coach was so impressed he asked him to come out for the football team. Joe, Jr., had never seen the game played, but quickly became a star linebacker. He also started playing baseball his freshman year and earned all-league honors in both football and baseball. He was one of the first athletes to be elected into the Hall of Fame at Healdsburg High School. Joe, Jr., helped organize the first Future Farmer Fair in Healdsburg which is still held today and was the President for both the Future Farmers of America and the Block H (athletic) Club. He won just about every award offered in high school and with a scholarship in hand, headed to Cal Poly San Luis Obispo where he played baseball all four years. He majored in Animal Science, but took all the agricultural electives he could. In 1957, he was drafted into the army where he participated in research on radiated foods and vitamin deficiencies among K rations. After leaving the service in 1959, Joe, Jr., was offered a high-paying civilian job, but his father expected him to return home and work on the ranch. Instead of the $10,500 annual pay he would have received for the civilian job, his father gave him $1.00 an hour or barely $3,000 a year. He supplemented that income playing semi pro baseball for ten years with the Healdsburg Prune Packers. Joe, Sr., was primarily in the hops business but the property he farmed also had 50 acres of grapevines dating to the 1890s, consisting mainly of a field blend typical for the time composed of Grand Noir, Alicante Bouschet, Zinfandel, Petite Sirah, Sauvignon Vert, and Black Malavasia. Grapes provided little income in the 1940s, returning $50 to $70 a ton. Yields on the family vineyard were typically one and half to two tons per acre. When the hops business declined in 1953, hops were taken out and Blue Lake string beans planted. The hop trellises were simply lowered to accommodate the new crop. The crop broke all state records for production and Joe, Sr., became one of the largest string bean growers in California. The old grapevines were eventually ripped out in 1957 and French Colombard and Cabernet Sauvignon planted the following year. In the mid 1960s, string beans were interplanted in the vineyard. The trellis was dug out and beans were planted on stakes with two rows of beans between each row of grape vines. By the time Joe, Jr., returned from college in 1959, Joe, Sr., had acquired the entire property he had been leasing. Joe, Jr., took over the grape growing but Joe, Sr., was still clearly the boss. Joe, Jr., wanted to plant additional vinifera varieties as he felt the future of grape growing in the Russian River Valley lay in varietal wines, but his father was reluctant because wine grapes produced small crops and did not attract significant money at the time. Joe, Jr., finally talked his father into planting Sauvignon Blanc in 1959. Joe, Jr., traveled to University of California Davis where Sauvignon Blanc was planted to multiple clones. He walked the rows and tasted the grapes, finally deciding on budwood from the one row he thought tasted best. The 10 acres of Sauvignon Blanc vines he planted were so vigorous he had to trellis them on a double-Geneva configuration (see photo below). For several years, the Sauvignon Blanc grapes were sold to Chateau St. Jean and other wineries and went into white blends. It wasn’t until 1969 that Windsor Winery bottled the Sauvignon Blanc as a distinct varietal. The vines are still producing today and Rochioli Sauvignon Blancs have won more awards than any other wine Rochioli produces. The Sauvignon Blanc vines at University of California Davis were subsequently pulled out and Joe, Jr., was never able to obtain more of the same budwood. The type of Sauvignon Blanc clone planted at Rochioli Vineyard will forever remain a mystery. Labor had become difficult to find in the early 1960s and by 1963 all the string beans had been pulled out on the ranch. Joe, Jr., begged his father to try Pinot Noir. He was aware of the quality of French red Burgundy and had a hunch that the grape would do well on the Rochioli ranch. He knew that the land at the ranch had seven feet of fertile soil over gravel and a suitable climate. Although University of California Davis had developed a Pinot Noir clone (Gamay Beaujolais) that was very vigorous and would be more profitable, the wines produced from these grapes were more like a rosé with very little color. Joe, Jr., said, “No way was I going to plant that stuff!” He was firmly committed to the typical Burgundy clones of Pinot Noir. After Joe, Sr., died in 1966, Joe, Jr., pulled out the French Colombard and Cabernet Sauvignon and planted Pinot Noir. Neighbors thought he was crazy at the time. There was no Pinot Noir budwood available locally so Joe, Jr., sought out a Frenchman south of St. Helena in the Napa Valley who reluctantly gave him some “suitcase” French Pommard budwood from a vineyard there, but he does not remember the particulars. Most likely the clone was UCD 4 Pommard and possibly included a field selection as well. He planted 4 acres of East Block Pinot Noir (named for the area east of the telephone pole on the property) in 1968, one of the earliest plantings of Pinot Noir in the Russian River Valley. In 1969, he acquired the shares owned by his brother and sister and became the sole owner of Rochioli estate. In 1970 (some literature references 1969 but Joe, Jr., told me 1970) 4 acres of West Block Pinot Noir were planted using budwood either from Karl Wente’s estate vineyard in Livermore, presumably French clones, or from Wente’s UCD-certified plantings in Arroyo Seco. Again, this is most likely a clone or field selection of UCD 4 Pommard. The exact provenance of the East Block and West Block plantings remains a mystery as vine morphology has not incontestably confirmed the clonal origins. block were subsequently used for several other blocks on the Rochioli ranch and many other vineyards in the Russian River Valley including Allen Vineyard across Westside Road from Rochioli Vineyard. 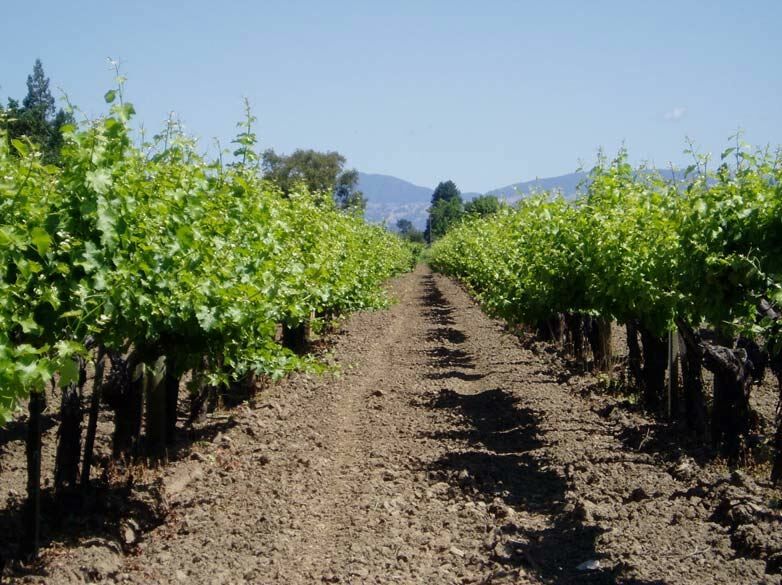 The first Chardonnay vines were planted on the Rochioli ranch in 1970. Several blocks of Pinot Noir were planted in subsequent years. Three Corner Vineyard, located on the southern end of the estate, was planted in 1974 with West Block Selection. This vineyard was originally part of the Allen Vineyard, but was deeded to Joe, Jr., as a favor for farming the Allen Ranch for many years. Little Hill Vineyard is 2.2 acres planted in 1985 from West Block cuttings and lies adjacent West Block. River Block consists of 13 acres of Pommard 4, 115 and 777, established in 1995 and situated along the Russian River. More recently, additional blocks have been planted on both sides of Westside Road with the blocks on the uphill side of Westside Road designated as Sweetwater Ranch (which make up a large percentage of the Estate Pinot Noir bottling). In these younger blocks and as replacement for vines in the older blocks, newer clones including Dijon 115, 667 and 777 and heritage selections such as Calera and Hanzell, and rare, unspecified field selections have also been planted. The vineyard has a dizzying array of rootstocks as well. 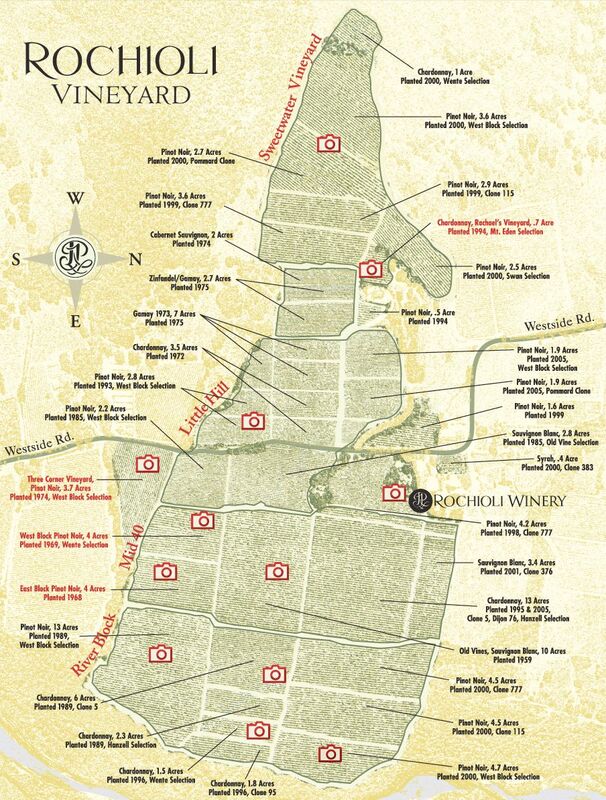 A map of the Rochioli Vineyard on the Rochioli website shows the layout with dates of plantings and clones. 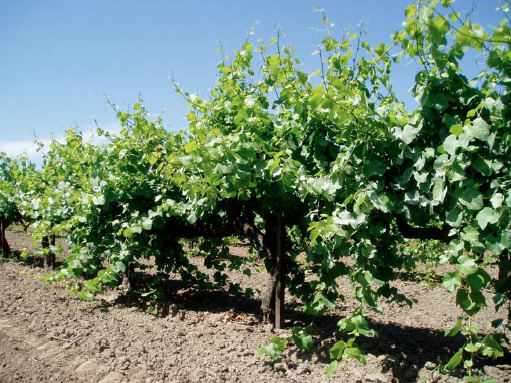 Allen Vineyard, located north of Rochioli Vineyard across Westside Road, was initially planted in 1970 by Joe, Jr., and with later plantings now contains West Block Selection (Wente), UCD 4 Pommard and Dijon 115. Today, of the ranch’s 160 acres, 128 acres (including the Allen Ranch which is a separate ranch with about 30 planted acres that Joe, Jr., farms as did his father before him) are planted with about 50% Pinot Noir. The heavily virused original East Block plantings have been completely replaced with West Block cuttings (the last vintage from the original East Block plantings was 2008) and a number of vines have been replaced in the West Block as well. West Block is now one-third of its original size. Joe, Jr., never thought he would have to remove any of his original plantings in his lifetime, but a number of funguses, viruses and other pests have ravaged the vineyards over time. Many Rochioli wine enthusiasts begged him not to pull the East Block vines out, but at production levels of less than one ton per acre, it simply did not make economic sense to preserve them. Grape farmers in Northern California were not organized and were victimized by E. & J. Gallo. The growers would deliver their grapes to Gallo in September without a contract and no idea what they would be paid. In December of the vintage year, before property taxes were due, the farmer would receive a check in the mail from E. & J. Gallo who paid them whatever they wanted. By the mid 1960s, wine grape growers had formed the North Coast Grape Growers Association and fought this unfair practice of delivering grapes without an agreed-upon price. The farmers finally pressured E. & J. Gallo to commit to $100 a ton with a $5 bonus if the grapes were really premium. By the early 1970s, Joe, Jr., had some contracts for his grapes including Dry Creek Winery which bought his Sauvignon Blanc grapes, but he was selling most of his Pinot Noir to Korbell for their sparkling wines. Handshake agreements continued to be the rule, and it was to be a long time before a law was finally passed in California requiring a winery to have an upfront written agreement on the price they would pay the winegrowers for their grapes. In 1972, Davis Bynum, a San Francisco newspaper man, bought the 84-acre River Bend Ranch on Westside Road for a reported $115,000. The property had a hop kiln used for drying hops. Bynum converted the hops processing room next to the kiln into a winery and started Davis Bynum Winery. Bynum developed several handshake agreements with local farmers including Joe Rochioli Jr., Howard Allen and Rick Moshin. He bought Rochioli’s Pinot Noir in 1973 and from 1973 to 1979 was the only winery receiving Rochioli fruit. The 1973 Davis Bynum Winery Rochioli Vineyard Pinot Noir and 1973 Joseph Swan Pinot Noir were probably the first Pinot Noirs to carry the words “Russian River” on the label, ten years before the Russian River Valley AVA was approved. Bynum’s 1973 wine was the first Russian River Valley vineyard-designated Pinot Noir. Joe, Jr., still has a bottle of this wine today but he claims a 1978 Davis Bynum Rochioli Vineyard Pinot Noir is the best Pinot Noir he has ever tasted. 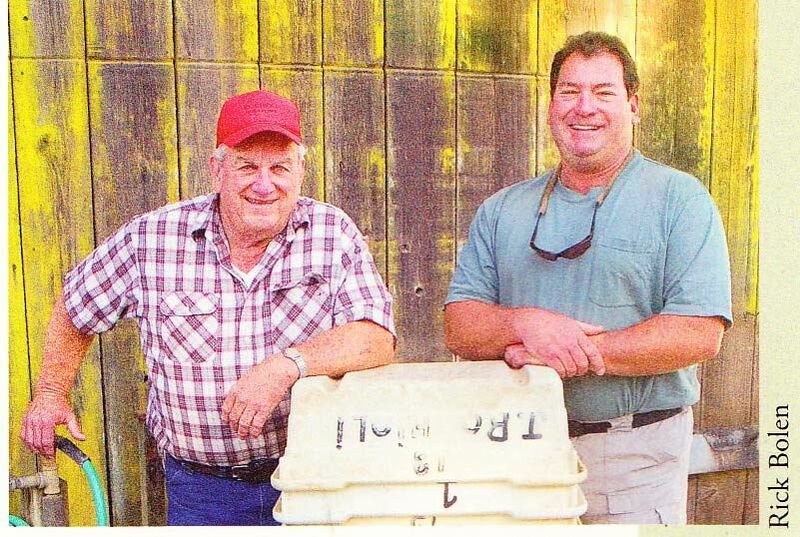 Beginning in 1976, Joe, Jr., had Davis Bynum produce 2,000-3,000 cases of Pinot Noir and Chardonnay at Davis Bynum Winery under the Fenton Acres label. 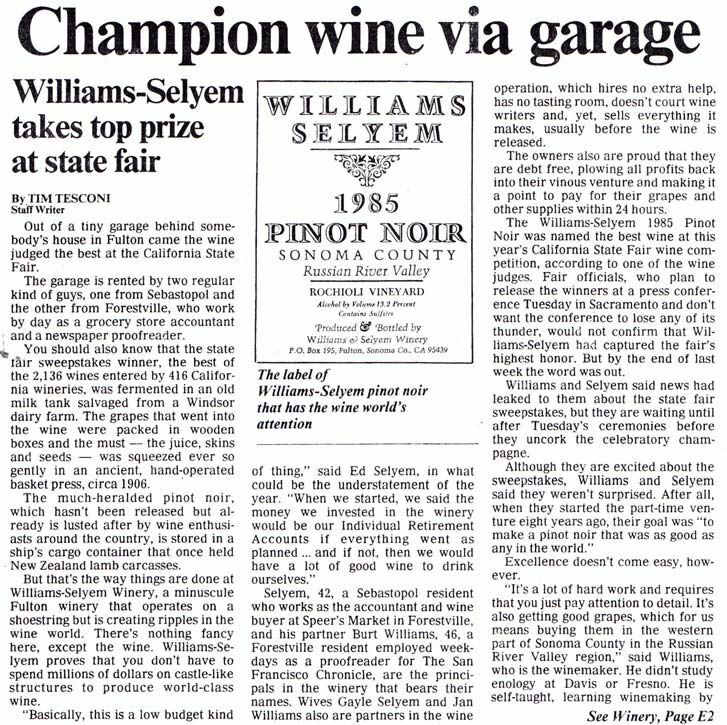 Three years later, he sold some West Block Pinot Noir grapes to Williams Selyem before that famous winery had become bonded. Burt Williams recalls that Joe, Jr., sold them their first Pinot Noir from the now-coveted West Block of his vineyard for $550 to $600 a ton. 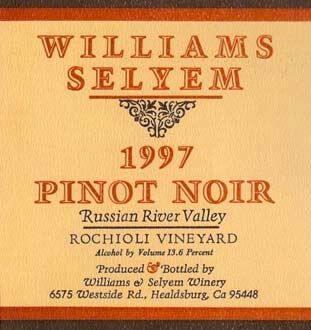 Williams Selyem made Rochioli Vineyard famous, when in 1987, the 1985 vintage Williams Selyem Rochioli Vineyard Russian River Valley Pinot Noir won the Sweepstakes at the California State Fair Competition and became the most seminal wine in the history of California Pinot Noir. The wine was sourced from the West Block but this was not evident on the label. 295 cases of this wine were produced and it was sold for $16 a bottle. A copy of the article that appeared in the Santa Rosa Press Democrat below. Gary Farrell, who had joined Davis Bynum as an assistant winemaker, made 50 cases of 1982 Rochioli Vineyard Pinot Noir from the West Block of Rochioli Vineyard and North Hill of Allen Vineyard to launch his Gary Farrell label. He has said, “It (Rochioli Vineyard) confirmed my opinion that world-class Pinot Noir could be grown in the Russian River Valley.” Also in 1982, Farrell crafted 150 cases of Pinot Noir for Joe Rochioli Jr., to start the Rochioli wine brand. Shortly thereafter, Joe, Jr.’s son, Tom, returned from the corporate business world, disenchanted with his job at Bank of America in Santa Rosa, and despite the lack of formal schooling in winemaking, soon became the winemaker, a position he has held ever since. Using Tom’s business acumen, and with winery design input from Gary Farrell, a 10,000 case winery was constructed on the Rochioli estate in time for the first crush in 1985, and Rochioli Vineyards & Winery was born. Joe, Jr., and Tom below. The winery was remodeled with specific rooms for red wine and white wine production and finished in 2009. Tom’s biggest winemaking influence was Burt Williams, but he also had an intuitive sense about how the superb Rochioli fruit should be handled. His typical winemaking regimen is as follows. The Pinot Noir grapes are picked ripe and sorted both in the field and on the crushpad. Fermentations are carried out in small open top tanks with a short cold soak preceding inoculation with yeast. Punch downs are carried out by hand three times daily for about 8 to 10 days with MLF occurring in tank. The Pinot Noirs are kept in Francois Frères barrels (30% to 100% with the block designated Pinot Noirs receiving more new oak) on the lees for 8 months, then racked and blended, and returned to barrel for another 7 months until bottling. The wines are never fined and rarely filtered. 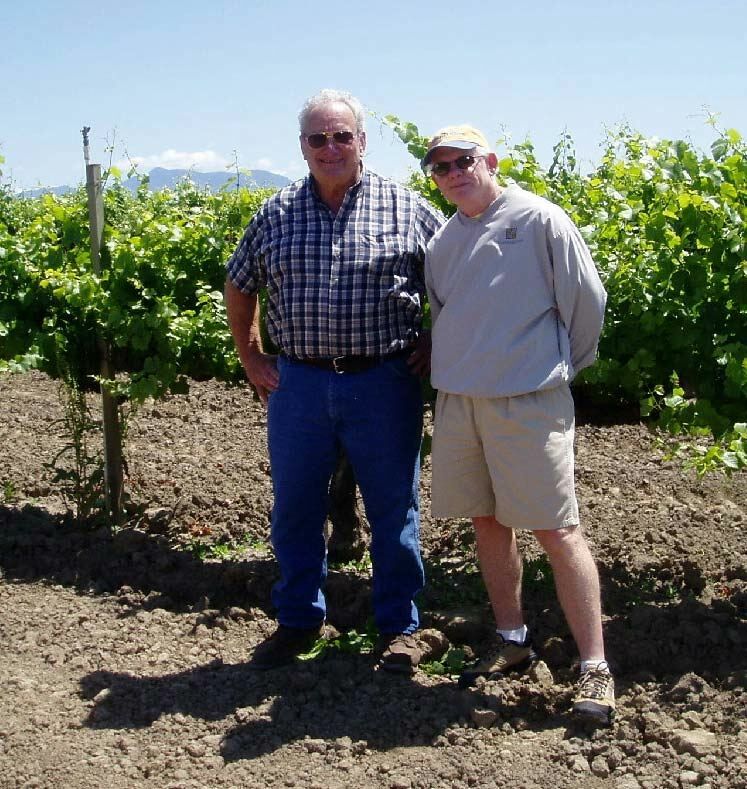 Joe, Jr., is responsible for many important innovations in wine grape growing and in 2003 was awarded the prestigious Copia Wine Grower Of The Year Award. His ideas have come from intuition and common sense tempered by experience. He was one of the first to pull vine leaves to reduce vigor and open up the grape clusters to sunlight. He began doing this with Sauvignon Blanc and later with Pinot Noir and Chardonnay after realizing that it produced better quality wine. He became a leading proponent of limiting yields. 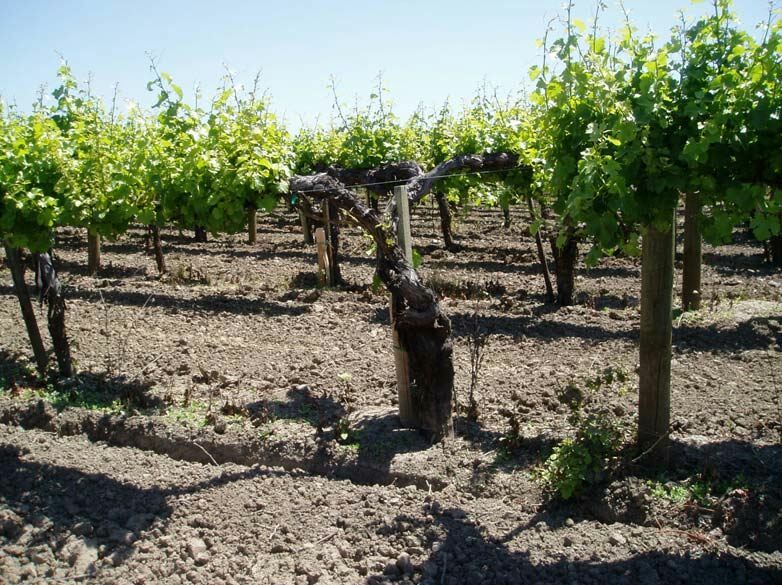 The Pommard clone planted in the Rochioli Vineyard can produce five or six tons per acre when young, but Joe, Jr., found that although the grapes had acceptable sugar and acidity, they had poor color and flavor. Keeping yields under four tons per acre made a big difference. We know now from years of experience in viticulture that fruit thinning to limit yields can produce higher quality fruit. The benefits are not precisely defined, but seem to involve phenolic compounds and may lead to lower sugar levels at ripening. Joe, Jr., was one of the first and most adept field budders. Until the 1970s, all grafting was done in nurseries (so-called “bench graft”). With the widespread demand for vines, “field grafts” became the norm. Joe, Jr., was able to field graft an extraordinary 500 vines per day and through the years budded practically every ranch in the county. For years he traveled the back roads in his 1947 International Harvester pickup truck, top speed 35 miles-per-hour, to work in other vineyards. Owners simply would not trust anyone else to do the field grafting. When I visited him a couple of years back, he told me he had spurned vacations, rarely leaving his property, but had plans to take all his extended family of five children and eleven grandchildren to Hawaii. Joe, Jr., was married ten years and had two children before divorcing. His current spouse was married 25 years and had three children before divorcing. The two were high school sweethearts and eventually reunited and married. With about 900,000 vines planted on 128 acres, there is plenty of work involved in farming the Rochioli estate. Eight steady men have worked on the property for up to 25 years and intimately know the vines. The crop is thinned as many as five times during the growing season beginning with suckering in early spring and removing green grapes during veraison. Vines are lost every year and replanting goes on continuously. The perimetry of the vineyard is thick with brush and its proximity to the Russian River makes it vulnerable to pests. In recent years, the blue-green sharpshooter and mealybug have been the most voracious predators. About 60% of the grape crop at Rochioli is sold to others including Williams Selyem (River Block grapes are in the River Block designate and make up a portion of the Westside Road Neighbors bottling), Gary Farrell Vineyards & Winery, Alysian (Gary Farrell’s new winery), Portalupi, Solitude, and Castalia (Castalia’s Terry Bering has been the Cellar Master at J. Rochioli Winery since 1990 - refer to feature on Castalia in this issue). Castalia is the only producer currently allowed to specify “Rochioli Vineyard” as the grape source of the wine on the label. 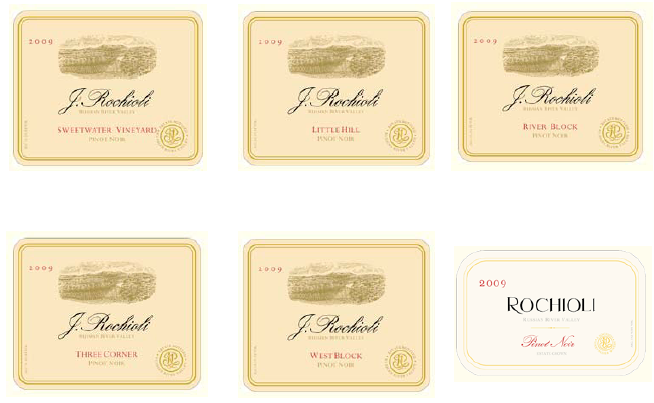 The J. Rochioli block designated labels simply identify the block such as “West Block” without specifying “Rochioli Vineyard.” There are over thirty wineries on the waiting list begging for Rochioli fruit including a number of the small prestigious producers of Pinot Noir in California. Joe, Jr., tells them they will never get any fruit, but they insist on putting their name on the waiting list. Cuttings from the vines are no longer sold or given away. A beautiful cluster of West Block Pinot Noir below. The estate blend of Pinot Noir (2,500 cases), the estate blend of Chardonnay, and the Estate Sauvignon Blanc (currently a blend of grapes from the original 1959 planting, a 17 year-old hillside estate planting and a rare clone of Sauvignon Blanc) are bottled under the Rochioli name, while the single-block vineyard-designated Pinot Noirs and designated Chardonnays are labeled as J. Rochioli. The classy labels have remained essentially the same through the years. 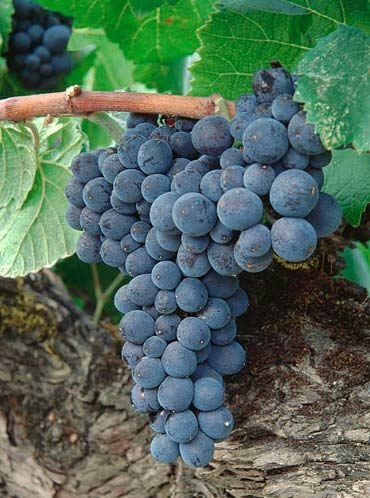 An Estate Pinot Noir has been produced every year since 1982. A Reserve Pinot Noir consisting of a selection of barrels from the West Block was produced in 1986, 1988, 1990 and 1991. In 1988, it was labeled as Special Select. In 1992, the first of the block-designates debuted with the West Block and Three Corner Block Pinot Noirs. East Block was released separately in 1993, 1994 and then yearly since 1997 until 2008. Little Hill Block and River Block debuted in 1999 and the Sweetwater Vineyard Pinot Noir was offered for the first time in 2007. Tom had noted differences in barrels from different plots of the Rochioli estate vineyard despite the vine material being similar, the cultivation identical throughout the five blocks, and the vinification of each plot the same. Each wine was recognizably distinct, reflecting differences in terroir similar to the subtle disparities in soil and microclimate that define the distinct terroirs of the Côte d’Or in Burgundy. The specifics of the 1999 J. Rochioli Pinot Noirs: East Block - 1.2 tons per acre, 150 cases, $85; West Block - 1.6 tons per acre, 400 cases, $65; River Block - 150 cases, $55; Three Corner - 100 cases, $55; Little Hill - 200 cases, $50. The estate Rochioli Pinot Noir, Chardonnay and Sauvignon Blanc are available through the winery’s tasting room with limited retail and restaurant distribution (distributor is Terlato Wines). Occasionally a special bottling is offered through the tasting room. The J. Rochioli Pinot Noirs are highly allocated to a mailing list which has a waiting list now extending out to five years. The wines are expensive (starting at $65 for the Estate Pinot Noir and reaching $100 for the J. Rochioli West Block Pinot Noir), but not relative to Burgundy standards for equivalent quality and pedigreed wines. Allocations reflect past purchases. Those not on the mailing list should look to the secondary marketplace for the J. Rochioli Pinot Noirs. A search for J. Rochioli West Block Pinot Noir on wine-searcher.com revealed1993 and 1996-2008 vintages were available at prices from just under $100 to $275. Library wines and magnums are occasionally offered to mailing list members. Only 12-24 magnums of each block designated Pinot Noir are produced each year. Production of the Rochioli Estate and J. Rochioli Winery wines is about 12,000 cases. Pictured below are the labels for the 2009 Rochioli and J. Rochioli Pinot Noirs. Production figures for the 2009 wines were as follows: Estate Pinot Noir (75% Sweetwater Vineyard and 25% various sites in the Rochioli estate; 3,559 cases, $65), Sweetwater Vineyard (3 tons per acre, 350 cases, $72), Little Hill (2.8 tons per acre, 350 cases, $72), River Block (2 tons per acre, 125 cases, $72), Three Corner Vineyard (1.0 tons per acre, 200 cases, $80), and West Block (1.3 tons per acre, 200 cases, $100). Production figures have varied considerably over the past decade because a significant number of vines have been replaced, newer plantings have come online, and in some vintages not every block designate was bottled. Additional production is on the horizon as West Block came into full production in 2011, the replanting of Little Hill and River Block has been completed, East Block has been replanted and will return to production, and the first crop from Big Hill, a rocky hillside site planted to West Block Selection and ten rows of a rare field selection was first harvested in 2011. This Big Hill block may turn out to be the “grand cru” site in the Rochioli Vineyard. The winery and tasting room is located at 6192 Westside Road in Healdsburg. Tasting is offered Thursday thru Monday from 11:00 to 4:00 (Tuesday and Wednesday by appointment). Winery tours are available Tuesdays and Wednesdays by appointment. The tasting room is closed the last 2-3 weeks of December. Father and son Rochioli cherish their privacy and rarely offer their wines at Pinot Noir themed events. The website offers modest detailed information: www.rochioliwinery.com. View an video interview of Joe Rochioli, Jr., filmed by Grape Radio for Williams Selyem Winery within the past few years: www.williamsselyem.com/videos/Video-Rochioli.html.